All bank charges shall be paid by the sender. Within the EU it's best to make a SEPA transfer. We accept a bank draft or a certified check in EURO currency. Please note that it might take up to 6 weeks until the cheque will be cleared. Please add 20 Euros clearing fee to the total amount of the invoice. 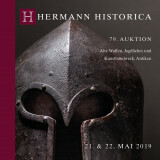 Please note that these are only the fees charged to Hermann Historica by the bank! 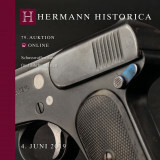 The most convenient way to order a catalogue is via our online catalogue shop. 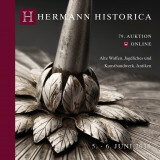 For upcoming auctions you can also use our pdf order form. Download the form, complete it and send it back by email, fax or snail mail. 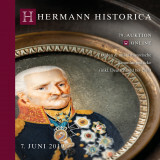 Hermann Historica is pleased to ship purchased lots on behalf of absentee bidders. If shipping costs are not recorded on the buyer´s invoice it means either that the buyer intends to collect purchases in person or that standard shipping is not possible. In the latter case this may be for reasons of the abnormal size, weight or fragility of the purchased property, it may also result from the specific application of legal requirements. In this instance we shall obtain a freight quotation on behalf of the buyer. 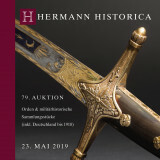 Upon subsequent receipt of confirmed instructions Hermann Historica shall be pleased to proceed with shipping. 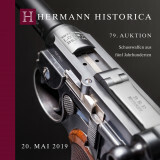 Due to changed regulations it is unfortunately no longer possible to send any kind of firearms from Germany to foreign destinations by regular mail service. We will, if possible, organise international shipping through forwarding agents or specialised courier services, however, with the consequence of noticeably higher shipping costs. Do you have any questions or want to visit us?